Tata Motors is poised to pull the plug on plans to introduce an electric vehicle in the UK in a move that could put the electric car dream on hold for the foreseeable future. Although the company has not yet made an announcement it is expected to confirm the Tata Indica Vista EV will not now be rolled out due to the slow take up of electric vehicles in the UK. Just 940 electric cars were sold in Britain last year, a figure that fell short of what had been hoped for and expected by manufacturers and the Government. It is also believed Tata had concerns over the lack of charging points and the resultant “range anxiety” among prospective buyers about being able to charge them away from home. 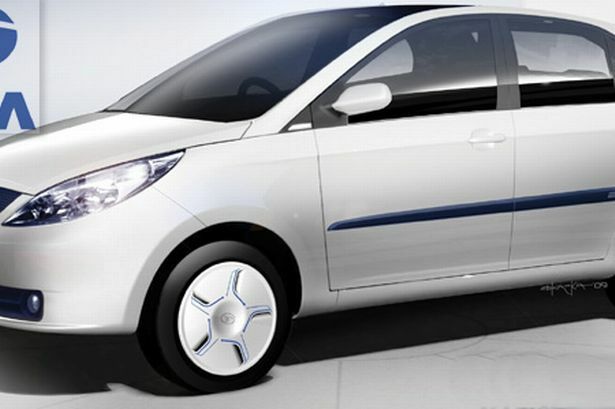 Tata’s EV, based on the company’s Indica Vista hatchback, was a production-ready vehicle with 25 cars developed at the Tata Motors European Technical Centre at the International Automotive Research Centre at Warwick University. All 25 had been used as part of the Coventry and Birmingham Low Emission Demonstrator (CABLED) electric vehicle trial project. The Indica Vista EV was due to be made in the UK and launched this summer but bosses at Tata are understood to have decided the electric vehicle market had not reached the point where it would be viable to launch a new model. A Tata Motors’ spokesman said the company was “actively developing a broad range of low carbon vehicle technologies” and speaking about the development of the Indica Vista EV added: “We are in the process of incorporating the learning from the development phase and the CABLED trial. Tata is unlikely to be the only manufacturer with concerns about the market, with sales remaining slow despite a government grant towards the cost, up to a maximum of £5,000. Firms such as Nissan and Renault have invested heavily with the Nissan Leaf, which has a list price of £30,990 and the more affordable Renault Fluence and Twizzy models, with more set to follow. Other manufacturers in the mix include Chevrolet, Citroen, Peugeot, Vauxhall, smart, Chevrolet and Mitsubishi. Despite Tata’s decision the firm is expected to continue developing electric and plug-in hybrid powertrains for use in future models. At the recent Geneva Motor Show it exhibited its Megapixel EV concept vehicle, which followed on from the Pixel EV concept. The work carried out on the Indica Vista will have contributed to the development of the firm’s EV technology though it will almost certainly delay any launch until the market picks up and infrastructure is better developed. Lord Kumar Bhattacharyya, head of Warwick Manufacturing Group, warned electric cars were unlikely to prove the panacea some people predicted. He said research would continue, with most manufacturers wanting electric cars as part of their portfolio but they were a long way from taking over as the mainstream family vehicle and that the main effort now was in bringing forward hybrids rather than pure electric vehicles. But Lord Bhattacharyya did reveal a Midlands’ battery technology centre was in the process of being set up. He also said simple economics remained an issue. “At the moment there is nothing cheap about it,” he said. “As a family you would effectively need one car for long distance and one for city driving. Neil Butcher, head of the recently concluded CABLED project run from Ove Arup’s office in Solihull which saw analysis of usage of a fleet of 110 electric vehicles, said development of electric vehicles remained on track but admitted progress was slow. Mr Butcher also said the market was a fast evolving one and with prices coming down believed some potential buyers might be biding their time. Mr Butcher said manufacturers would continue to develop electric vehicles in order to achieve both European targets to reduce emissions as well as their own fleet average emissions. “There will be a range of technologies in the future – with full EVs and plug-in hybrids forming a combination along with much more efficient internal combustion engines,” he said.